The delegation includes human rights barristers Margaret Owen and Melanie Gingell, and Shatha Besarani, women’s rights activist for the Iraqi Women’s League. It follows a call from the Kurdish Women’s Council (KJB) for international observers in an effort to bring the crisis in Cizre and across Turkey’s southeast to international attention. Turkish security forces have imposed a 24-hour curfew in Cizre and 21 people have so far been killed. Snipers reportedly have occupied rooftops and minarets, police have blockaded hospitals and ambulances and soldiers have deployed explosives against civilians. Families have been forces to keep the bodies of loved ones who have been killed in their freezers at home as they have no way of reaching hospital. Still, Prime Minister Ahmet Davutoğlu insists that there have been no civilian deaths. International press have been prevented from entering, as have lawmakers from the People’s Democratic Party (HDP), which made significant gains in the last general election to become the first openly pro-Kurdish party to enter parliament. Many believe that the severity of the current violence is President Erdogan’s attempt to reverse that setback that denied him an absolute majority. 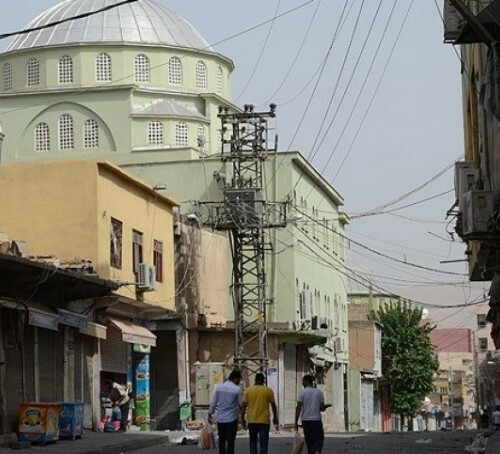 A curfew have also been imposed on the Sur district of the Kurdish capital, Diyarbakir.